New research confirms that extracts of chamomile and pomegranate each reduce gum bleeding in gingivitis when rinsed with. A growing body of research is confirming that the bacteria that infect our gums may well be the cause of many cases of arthritis. 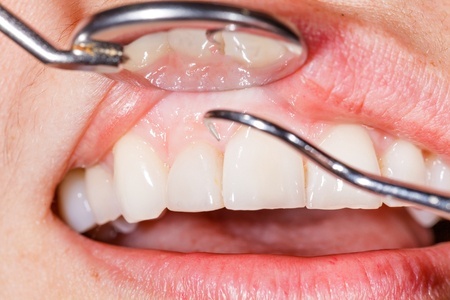 Could your gingivitis be swelling up your joints? New research has found that many seaweed extracts inhibit pathogenic oral bacteria known to cause gingivitis and gum disease. Face it - conventional mouthwashes are full of chemicals. Aloe vera provides a better solution, one that reduces plaque and periodontal disease without the chemical side effects. Swishing your mouth out with coconut oil may be a more effective and safer alternative to chemical mouthwashes, according to new research. New research from an Indian dental college has determined that an ancient Ayurvedic remedy for gum disease inhibits gingivitis and periodontal disease when used in a toothpaste.